at the Barclays Center on March 13, 2017 in Brooklyn borough of New York City. 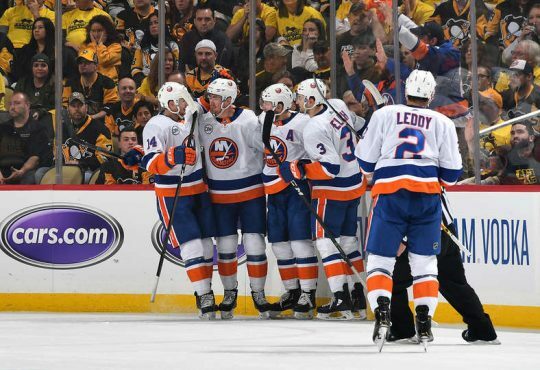 With the first quarter point of the season approaching, the New York Islanders find themselves in pretty good shape. The team is coming off an excellent performance in St. Louis after being drubbed in Dallas one night earlier. New York has won seven out of their last 11 games, they have yet to lose in regulation on home ice, and they are neck and neck for a top-three spot in the Metropolitian Division. The young guns at both ends of the ice — led by the play of Mathew Barzal — are playing with more confidence and making contributions on a nightly basis. And the return of Josh Ho-Sang will only keep that going. 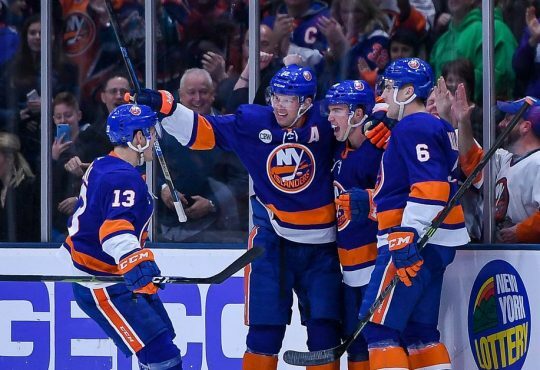 This week, the Islanders start a stretch of facing six Eastern Conference foes after playing 13 of their first 17 games against Western Conference opponents. The team will play three games in four nights with prime points there for the taking. For the Isles to continue their strong play, producing points in each game is crucial. After a long five day break — unusual for this early in a season — the Islanders will be back in action when they welcome the Hurricanes to Barclays for the first of a home-and-home later this week. This will be the first of five meetings this year between the two clubs, after the Hurricans took the season series 3-2 a year ago. The Hurricanes have been a thorn in the Isles side for a number of years now, so these games always have a bit more animosity built in. Carolina brought in some new pieces — Scott Darling and Marcus Kurger — and one familiar one — Justin Williams — to finally take that next step and become a bigger threat in the Metro this year. But that hasn’t been the case so far as have struggled to find consistency. That sentiment applies to the Canes play on the road, so the Isles who are a very good home team, must take advantage of that early and often. 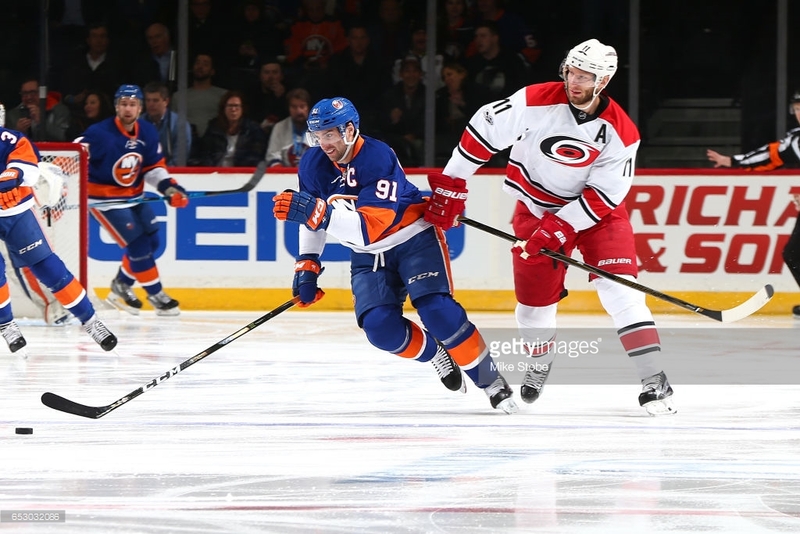 Matchup to watch: Carolina’s top d-pair up against the Islanders second line. The Isles second line has been rolling on home ice the past few games, but the steady duo of Jacob Slavin and Brett Pesce will give them all they can handle. The Islanders will play their second back-to-back in a span of nine days when they battle the best team in the East in the Tampa Bay Lightning. 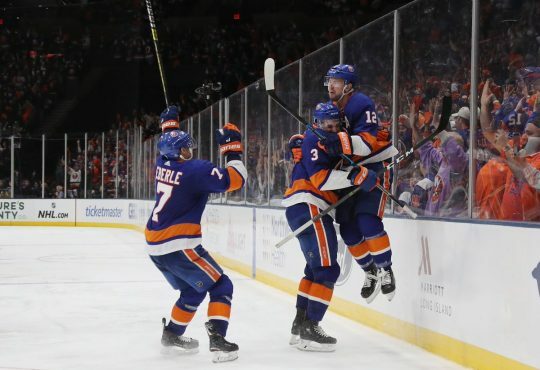 This game might be under the radar for some of the Isles faithful, but after the Bolts thoroughly man handled New York last season, out scoring them 14-2 in three games, the Isles should be out for blood. Having that extra incentive should make for a great showdown. The Lightning have pretty much steamrolled their way to the top of the East since the season began, led by the dynamic duo of Steven Stamkos and Nikita Kucherov. New York has only one win on the road against an Eastern Conference opponent (the Rangers), so this game will be a huge test to show they are no pushover away from home ice. 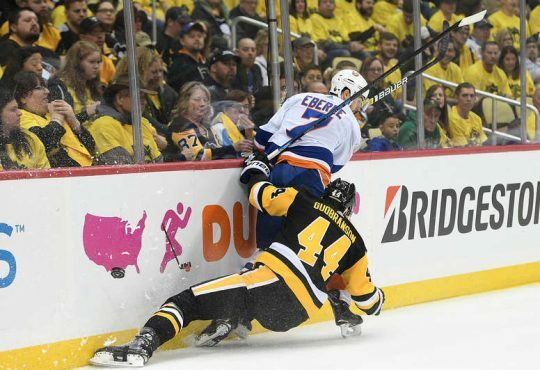 Saturday’s game also has the tone of a statement game, as the Isles need to show that they need to be taken seriously as top club in the East. Matchup to watch: Steven Stamkos vs John Tavares. Any time these two guys play against one another, it’s always an enjoyable affair. 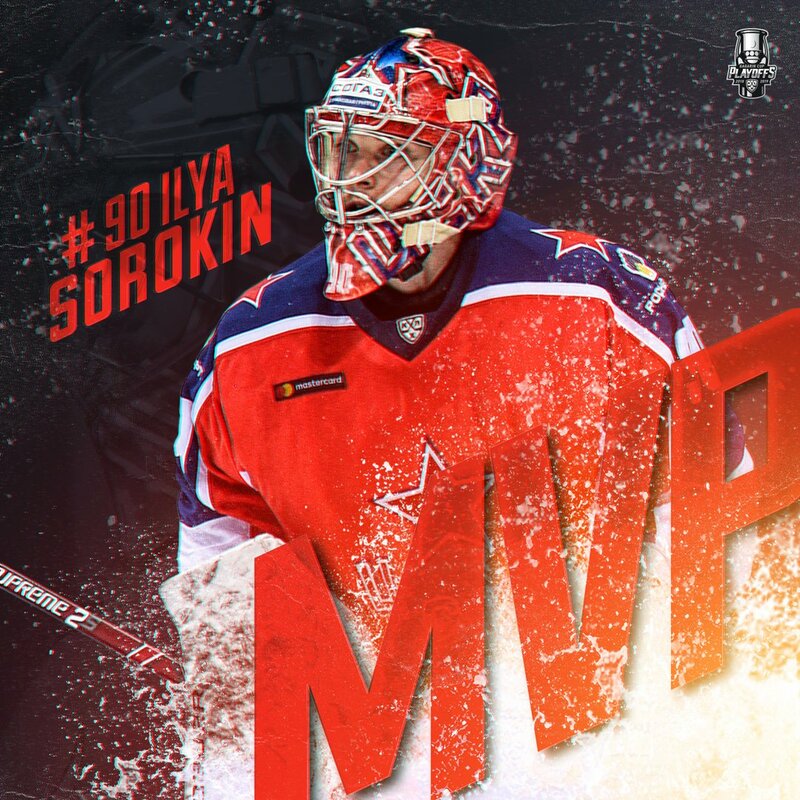 But with the way both players are producing right now, we could be in for a show. Once the game with the Bolts is over, the Islanders won’t have much time to celebrate or question what went wrong, as they’ll be on the ice just 19 hours later for a late afternoon clash with Carolina. Both teams will be very familiar with each other after just playing a few nights earlier, so their could be some fireworks. Each team will be on the second half of a back-to-back — the Hurricanes playing in Buffalo Saturday night — so something will have to give. Matchup to watch: The battle of the fourth lines.